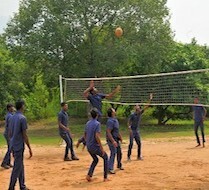 The Operator Training Centre was started in the year 1998. The goal of the center is to provide employment opportunities to youngsters by educating and training them on the operational aspects and basic maintenance aspects of the JCB machines. It covers both the theoretical and the practical facets of operating the machines. The Jayaraj Technical Training Centre was started in 2013 to continuously improve and update the knowledge of Jayaraj employees. 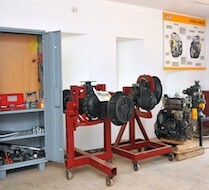 It also provides training to service engineers of other JCB dealerships in South India. Admissions are limited and encouraged during the beginning of the new year. Applicants are first interviewed to assess their commitment to learn and invest in the program. For more details, please contact us at 0452-2669147.